Prepare for the holiday season in style with this beautiful (and festive) wreath. 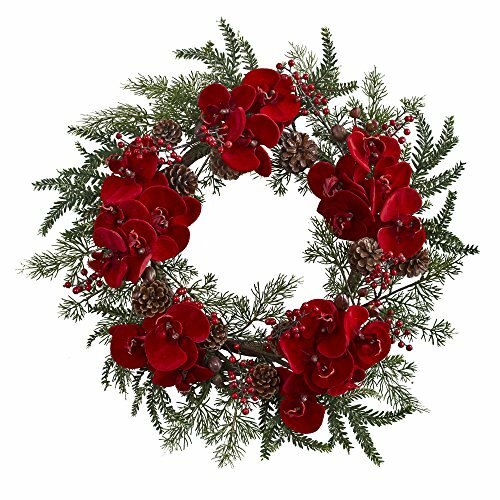 Adorned with rich red phalaenopsis orchid flowers, and accented with cheerful berries nestled within the pine leaves, this selection brings a smile to the face every time. It's so lifelike, you'll worry about it drying out, but it'll look great year after year, and will remain a mainstay of your holiday decor. Makes a great gift, too.